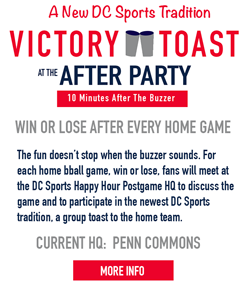 Washington Wizards Fan Happy Hour: Road Trip! Philadelphia Freedom, I Hate You, Yes I Do! Road Trip! Philadelphia Freedom, I Hate You, Yes I Do! Finally the Wiz Happy Hour crew did one of the things it was meant to do! We took a road trip to an opposing team's arena to watch our Wizards play! 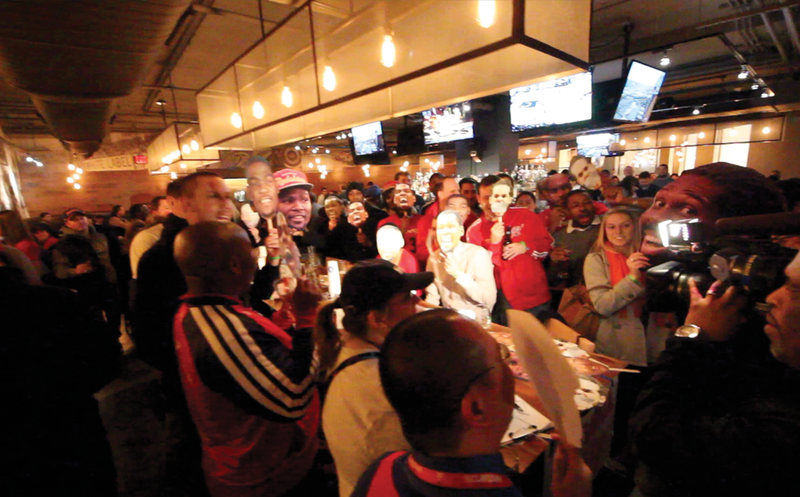 On Friday afternoon a contingent of die hard Wizards fans made the trek up to Philadelphia to watch the Wizards play the Sixers at Wells Fargo Center. While the Wiz disappointed on the court (a 6th straight loss, this to a realllly bad team) we still managed to have a great time cheering for the Wizards and getting into some friendly banter with Sixers fans. 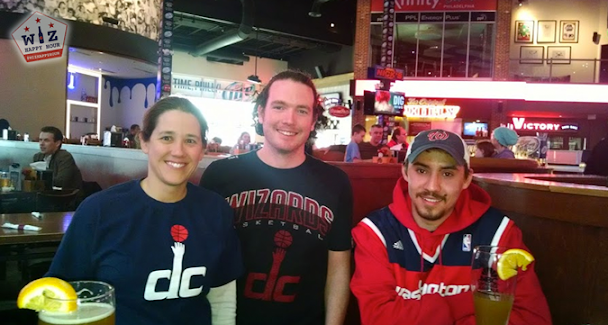 The first wave of Wizards fans met up early...wayyyy to early...at a bar outside the arena called Xfinity Live. We enjoyed some very very overpriced drinks. But being early paid off because we were able to spend some time with Wizards radio announcers Dave Johnson and Glen Consor. We talked some basketball and tried to solve the Wizards losing problem before Dave & Glen had to head inside and get to work. By the time the game started (after paying our $250 bar tab ...WTF...don't go to Xfinity Live ever) we were all pretty reved up for a Wizards win. We had 15 people in the lower level seats and we were making some noise for our Wiz. It was really awesome to be surrounded by Wiz fans at an away game, something we see way to much of in DC with Lakers/Celtics/Cavs/etc. Next year we want 30. We had so much fun at the game that most of us never even made it to the post game bar crawl. 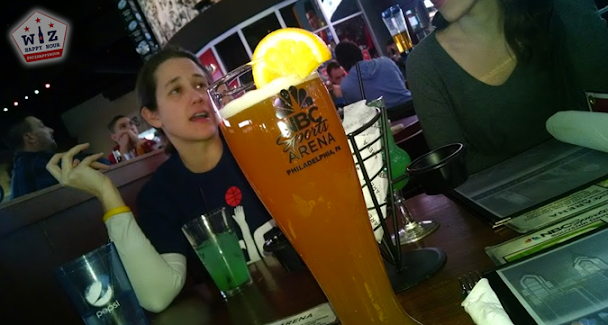 (If you care to see the Sixers fans getting amped after the win you can here)The overall cost of the trip was $40 for a ticket to the game $60 to split a very nice hotel room and whatever else we spent on food & drink. Not a bad $100.